LOPAC Consulting provides a range of services to overseas companies who wish to gain contracts with the Australian Government and in particular, the Department of Defence. Representation LOPAC's demonstrated capability for the cost-effective professional representation of overseas companies is based on our corporate experience and success, the calibre of our people and their constant engagement within Defence. Australian Industry Involvement Services Available - services encompass the full spectrum of project management and optimisation of Australian and New Zealand industry involvement including: Sub-Contractor Identification and Assessment; Sub-Contractor Qualification; Contract Negotiation; Quality Control and Assurance; Tests and Trials; Acceptance into Service; Through Life Support Establishment of Australian Entities and In Country Support LOPAC has considerable experience in scoping, establishing and assisting to manage wholly owned Australian subsidiaries of Northern Hemisphere defence companies including Cubic Defence Australia and Supacat Pty Ltd. The Company enjoys a unique position in the Australian defence industry environment and has the demonstrated potential to contribute considerably to the enhancement of clients' business opportunities by the provision of consultancy services. 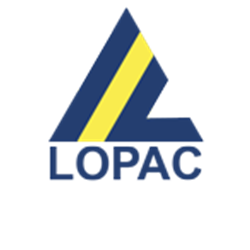 Such a contribution is supported by LOPAC's ability to provide: Strategic Assessments; National/Departmental Assessments; Defence Major Project Forecasts; Future Project Analyses; Current Project Analyses/Client Prospects; and Contractor Assessments. Given application of these services, a primary LOPAC task is to create the best environment possible for the presentation and selection of clients' capabilities and products. This activity is underwritten by the Company's extensive experience and knowledge of Australian Defence policies, procedures and operational requirements. LOPAC has also provided engineering consultancy, technical and associated services to the Department of Defence, the Australian Defence Force and major prime contractors.